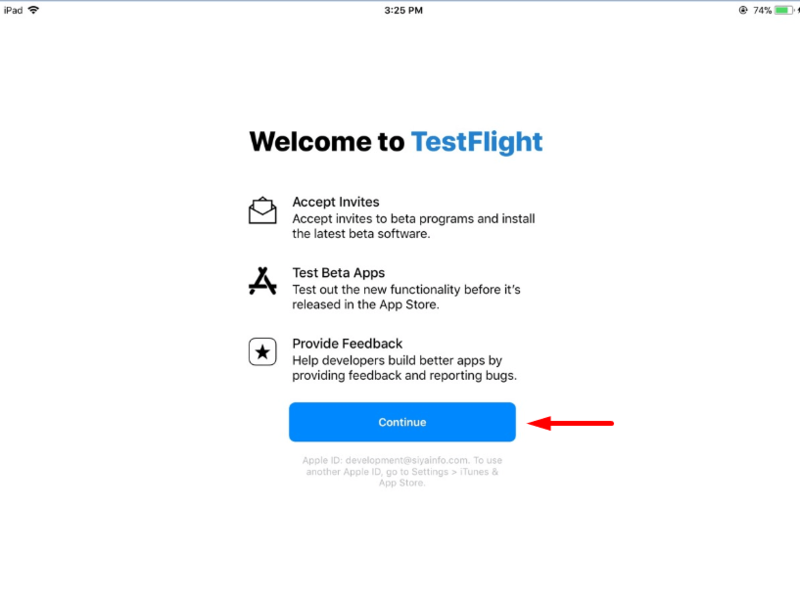 Home » Blog » How to setup email with associated all store email and download and setup testflight? 1. Hit setting icon available on ipad dashboard. 2. From side panel click on itune and app store option. 3. Already exist apple id would display. 4. For sign out continuous click on ID. 5. Hit sign out option. 6. When sign out then following screen will display. 7. Click on sign in option. 8. Enter user id and password for sign in. 10. New entered user id should display. 11. Now go to test flight from dashboard. 12. Click on continue in test flight. 13. Click on account option. 14. New added apple id should display in test flight.